ChemSee’s has available small, lightweight badge dosimeters for monitoring employee exposure to a wide range of Toxic Industrial Chemicals (TIC). 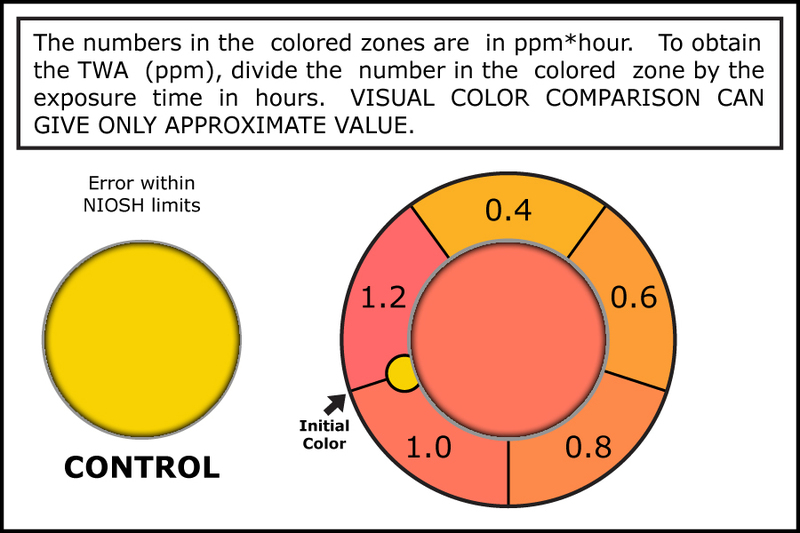 All dosimeters use a simple color change to estimate total exposure dose to a specific TIC. They can be fixed to an employee’s collar or pocket or placed in specific rooms to monitor local exposure levels. Each dosimeter has a clip allowing it to be worn an employee’s collar or pocket. The dosimeters can be checked at regular intervals throughout the day to ensure exposure levels comply with government regulations. For pricing and additional information on these Kits, please Request a Quote and ourrepresentatives will contact you with additional information.